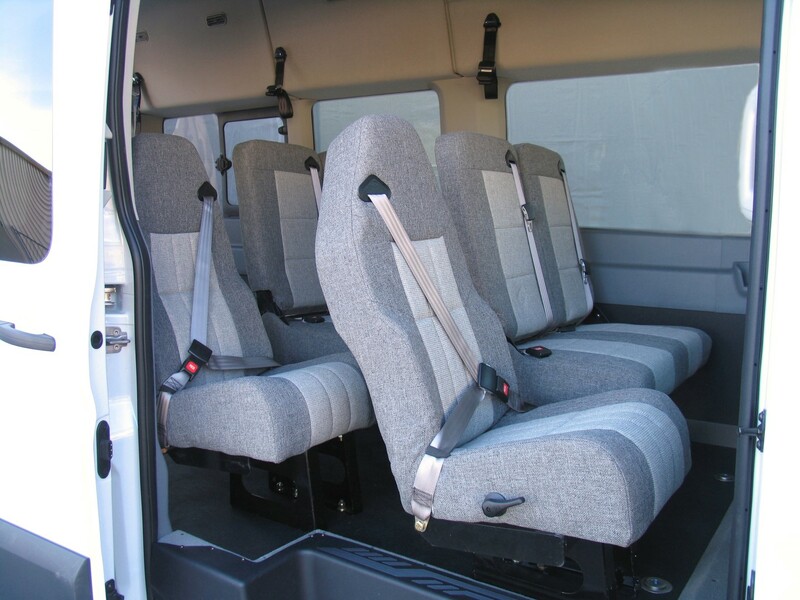 EVERY seat in the van has been tested to meet and surpass all FMVSS certication. 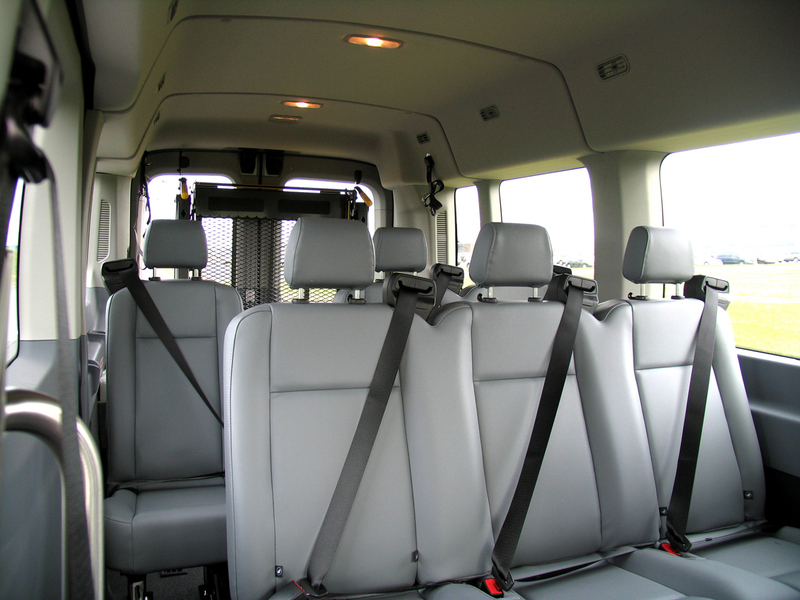 EVERY seat is tested to a full 115% of requirements. 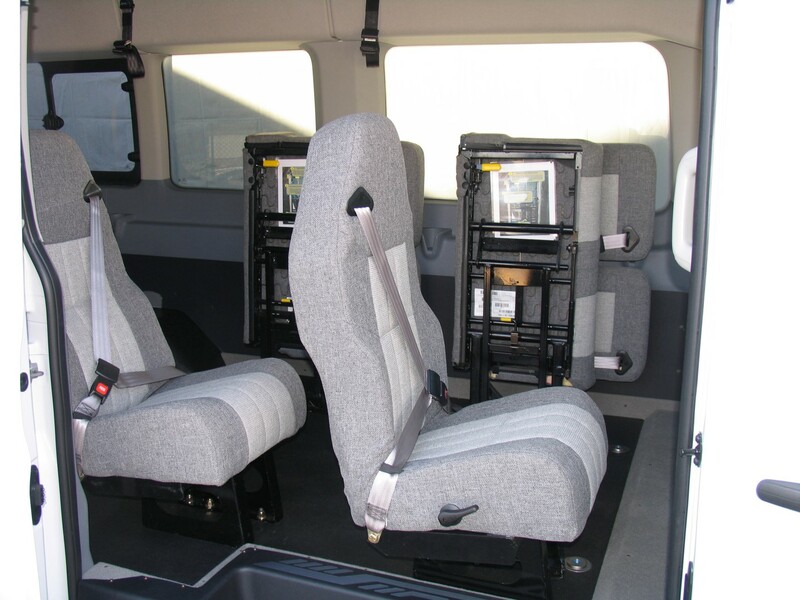 EVERY seat has been seperately tested to assure the utmost safety for passengers. 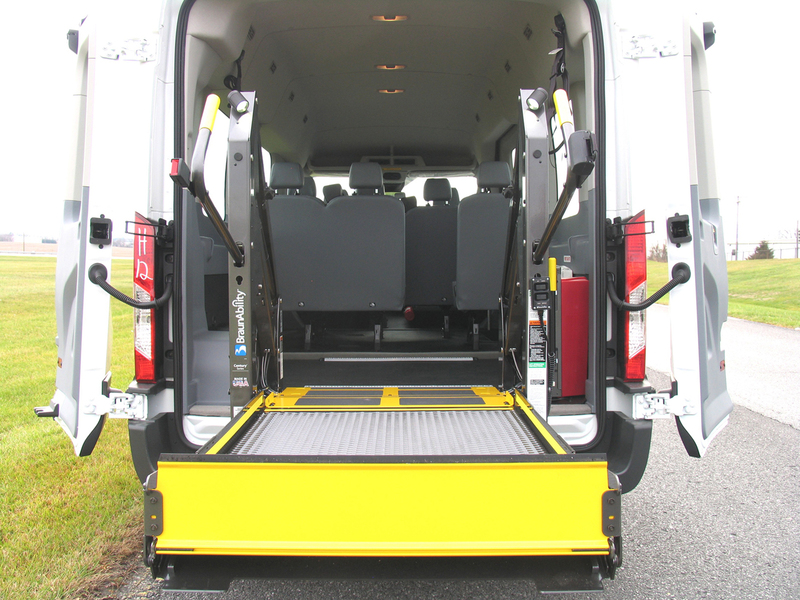 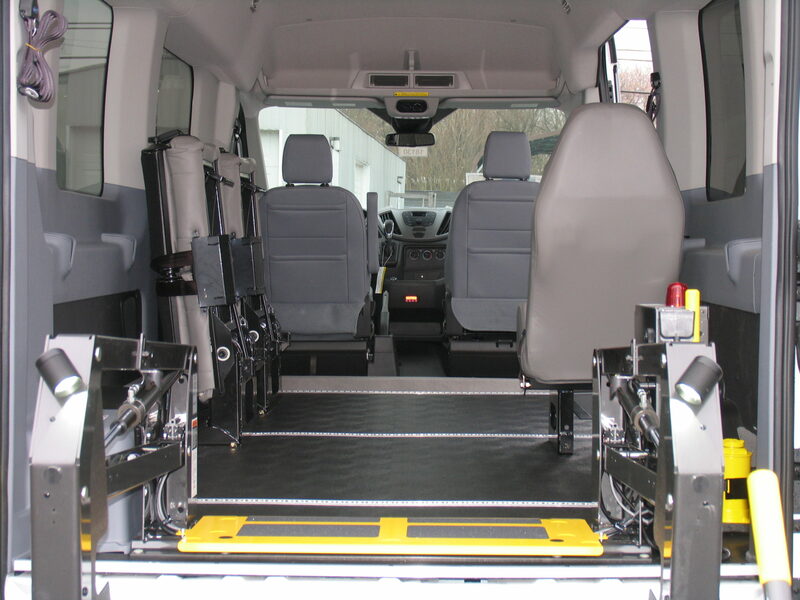 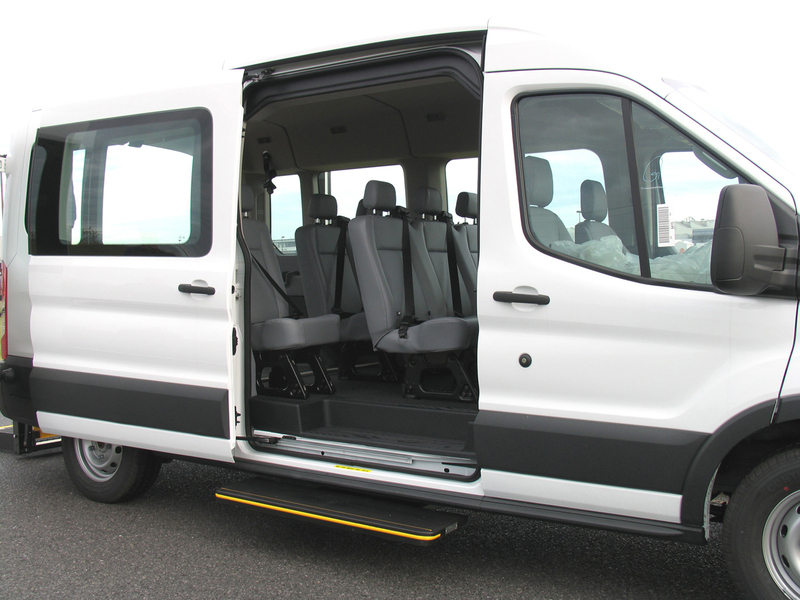 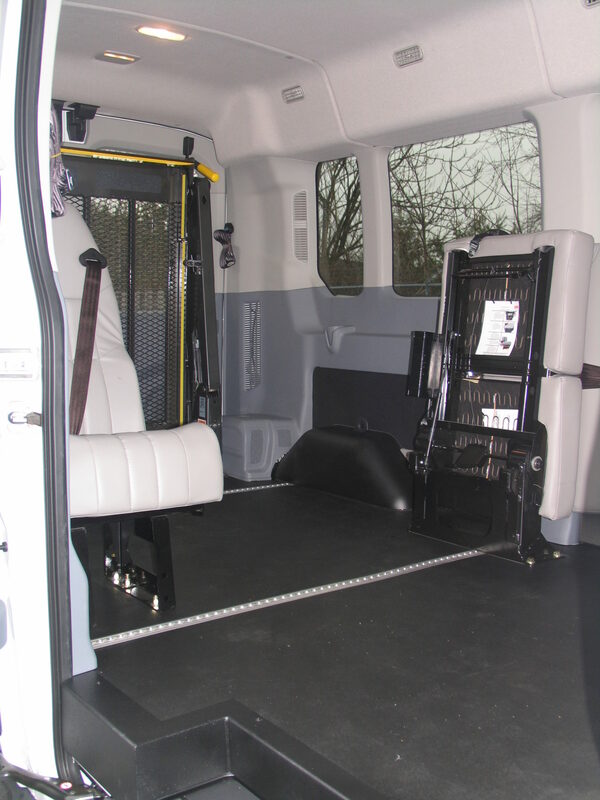 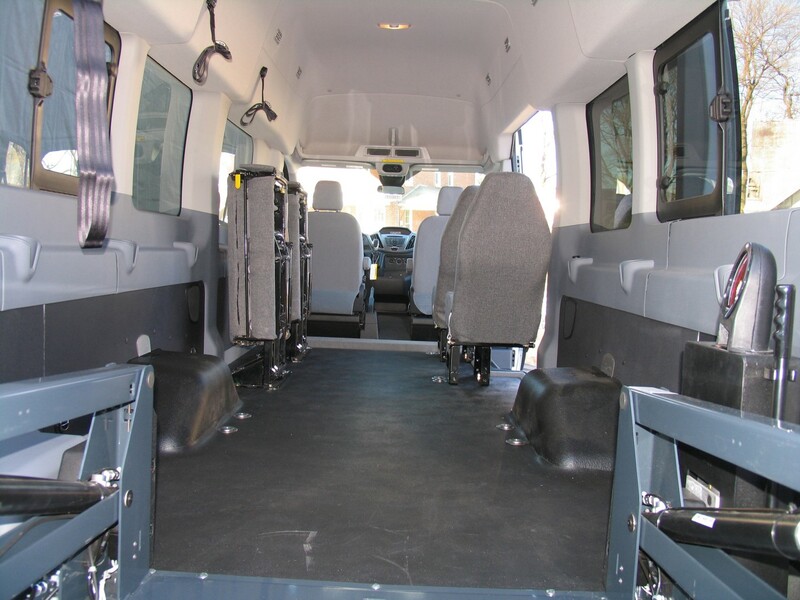 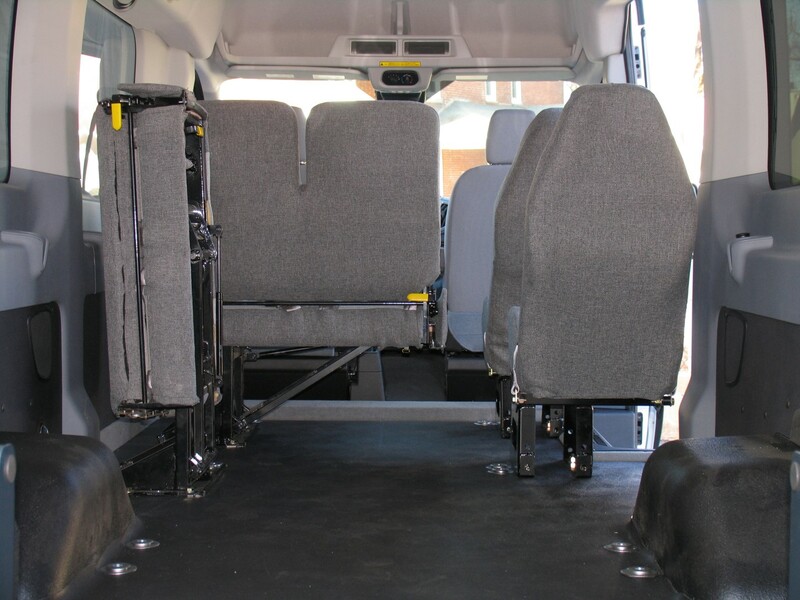 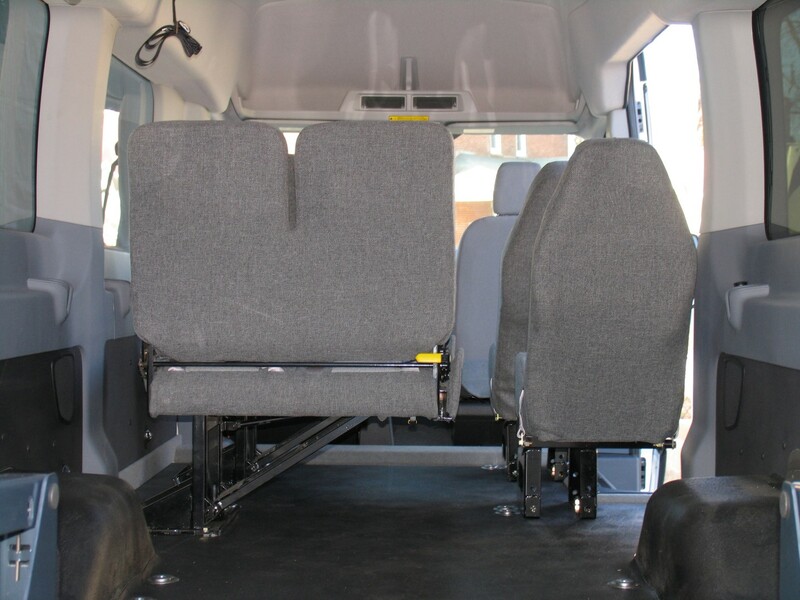 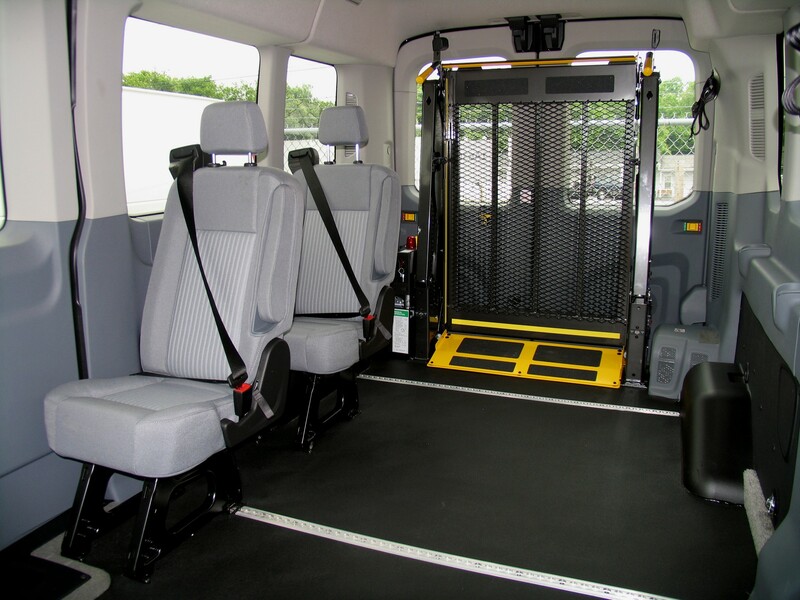 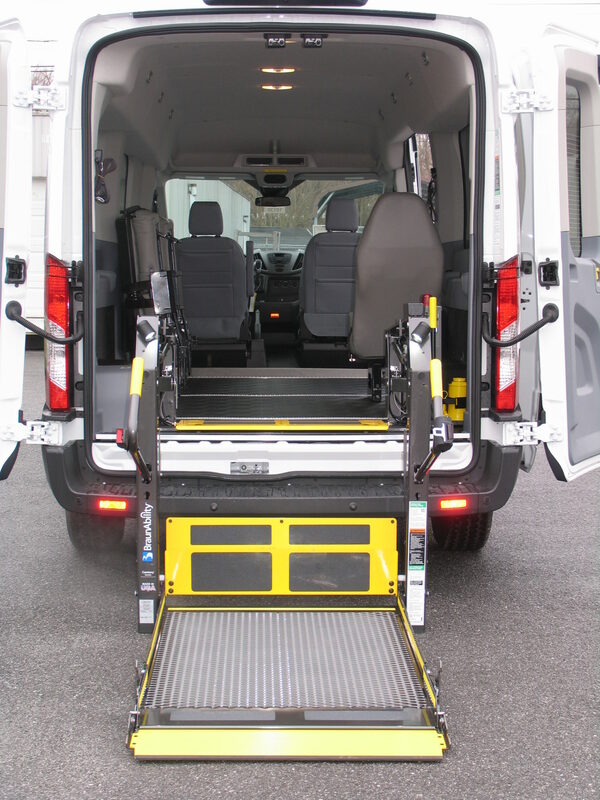 EVERY seat is tested in an actual Transit body mounted on an actual frame. 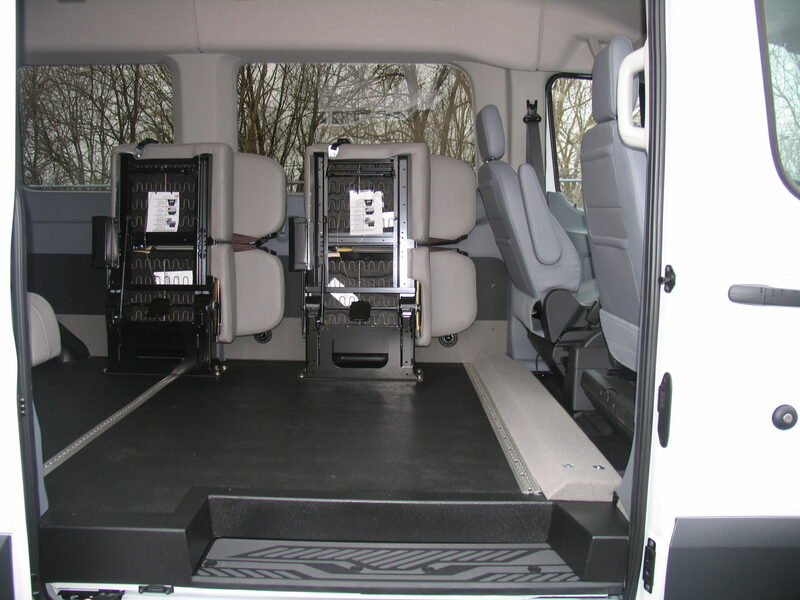 EVERY seat test document can be provide for you and your customer. 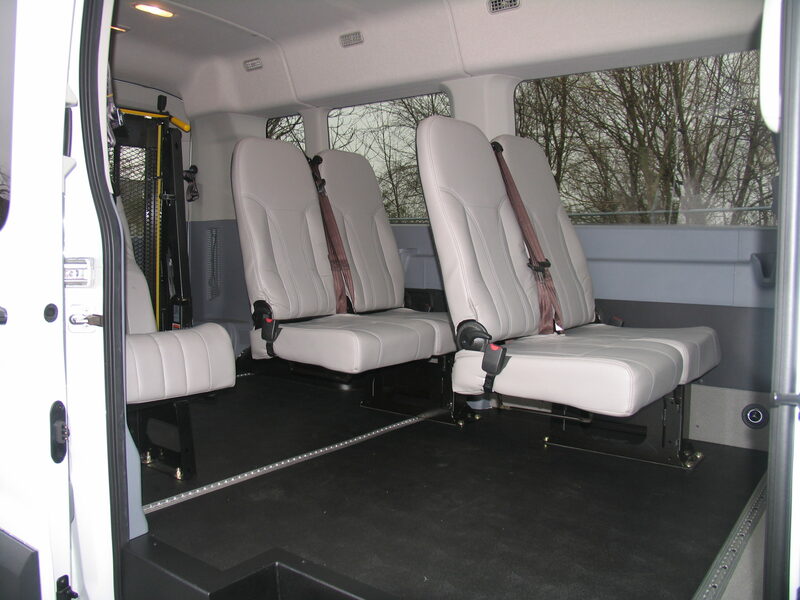 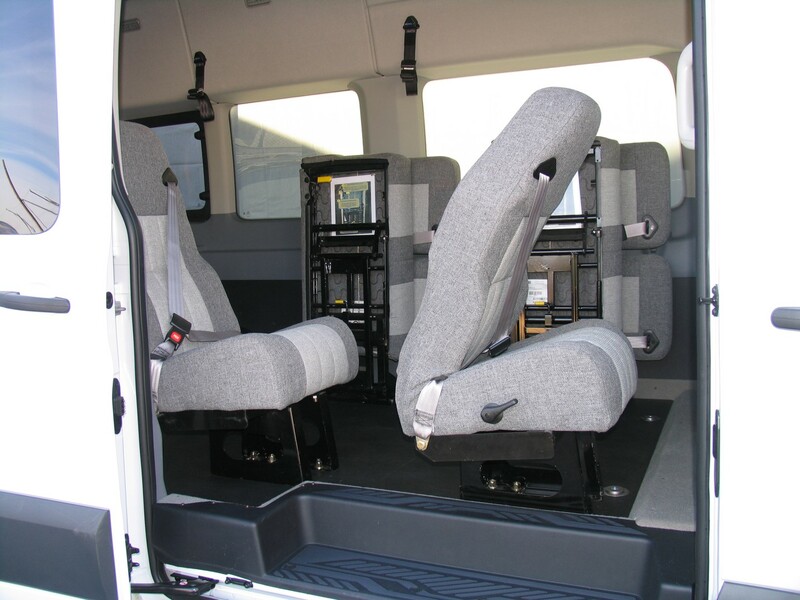 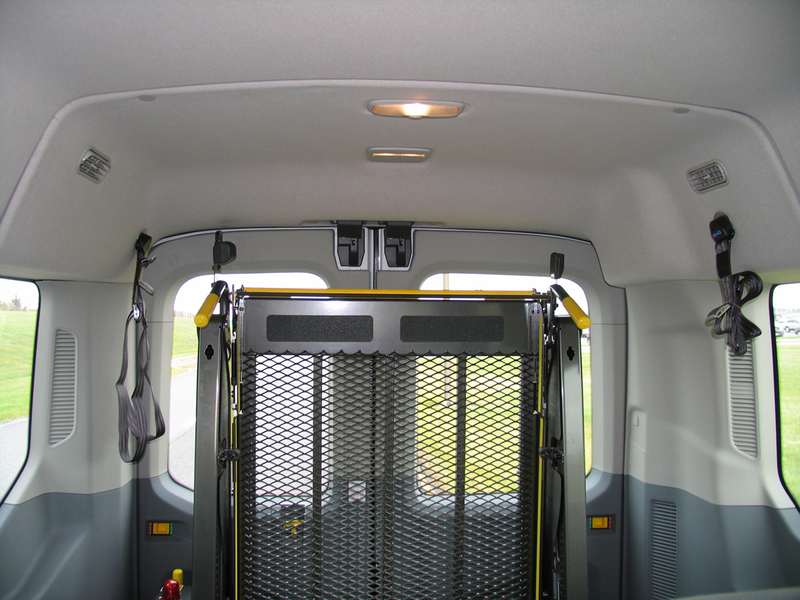 Our results are based on our core belief that seats perform differently at each position in the van. 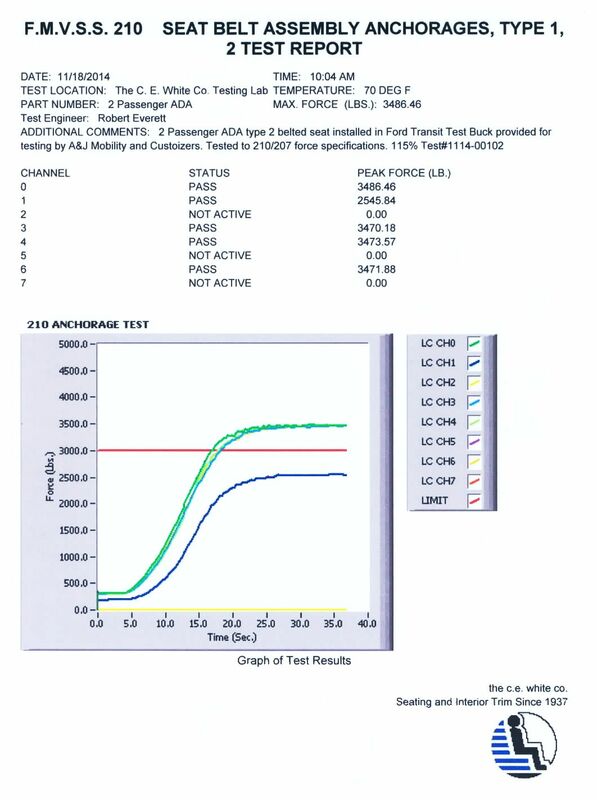 The only true test is a senario that best represents actual operator use on the highway. 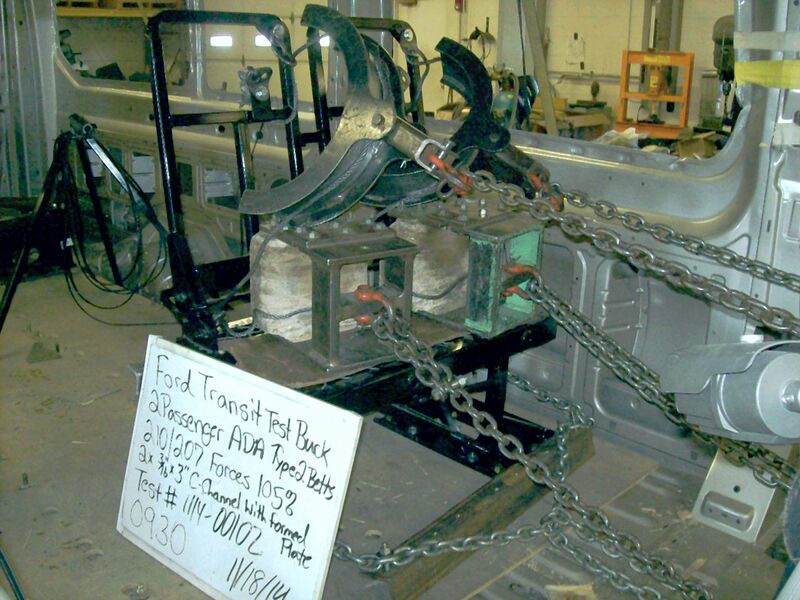 We are convinced that FMVSS certication means that we MUST prove that every seat passes the test. 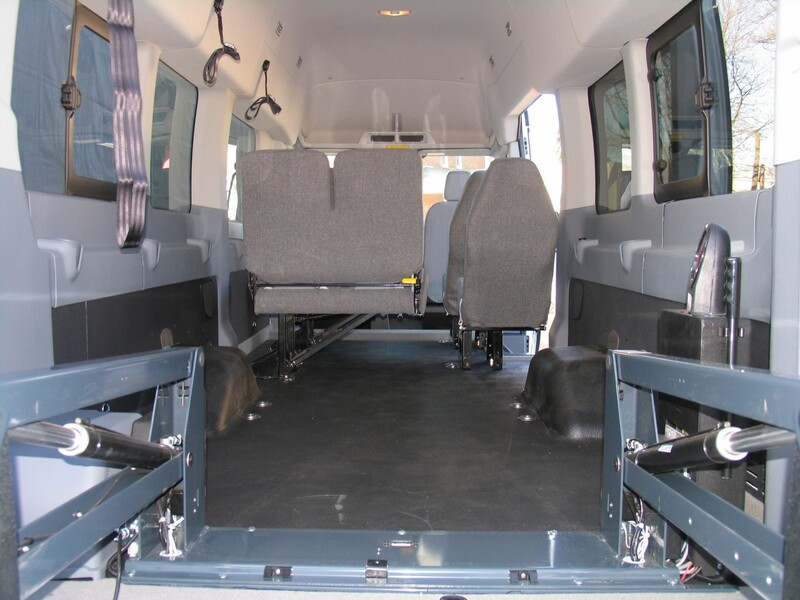 Don’t accept anything but the safest and the best conversion available. 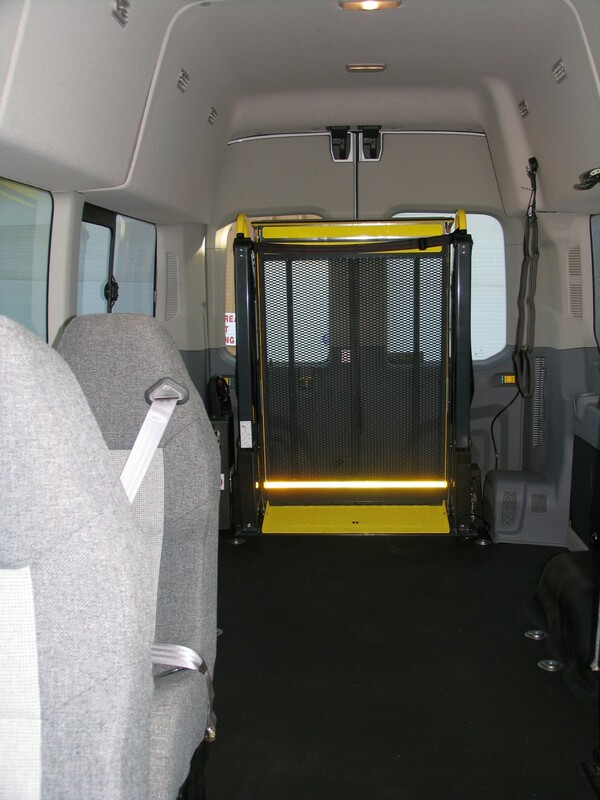 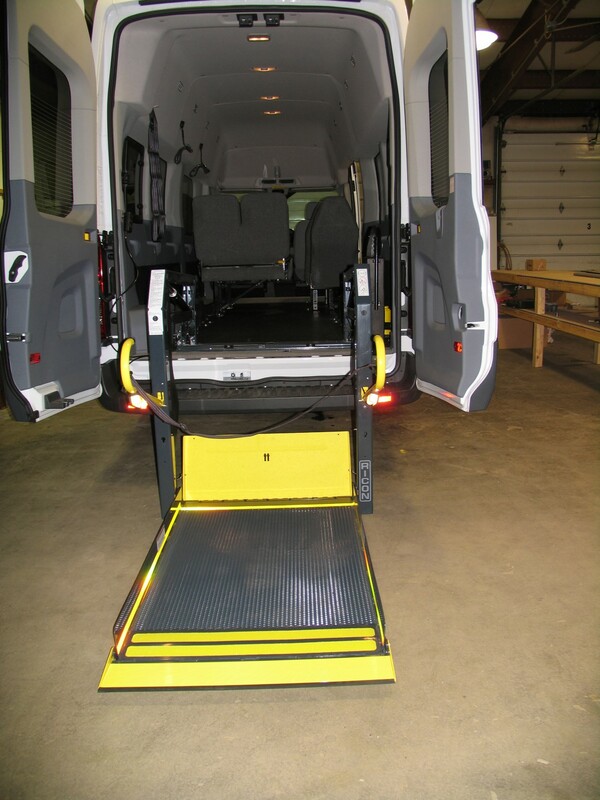 Many of the major automobile manufactures offer mobility reimbursements to new vehicle buyers who install eligible adaptive mobility equipment onto their new vehicles. 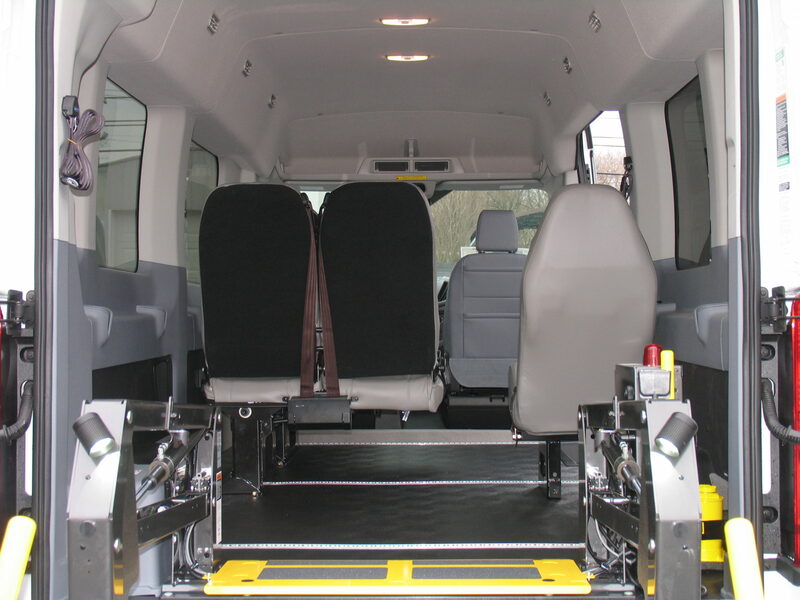 For complete information regarding eligibility and maximum reimbursement amounts, visit the manufacturer’s website by clicking on one of these links.